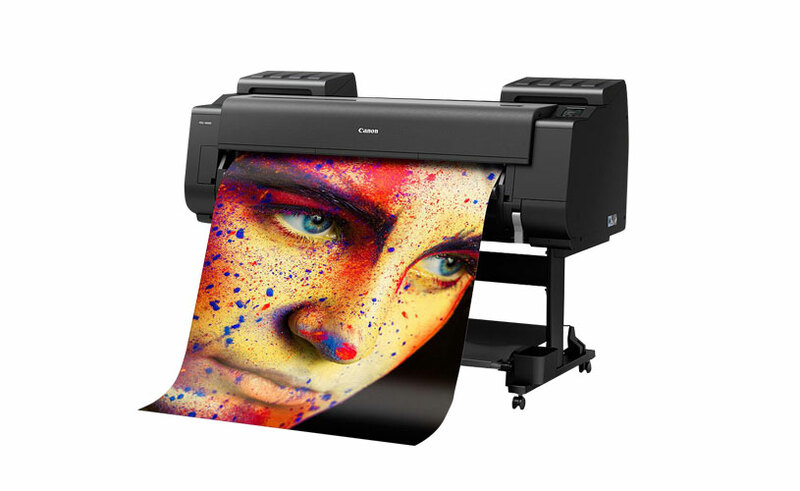 Got your mind set on purchasing a new wide format printer? 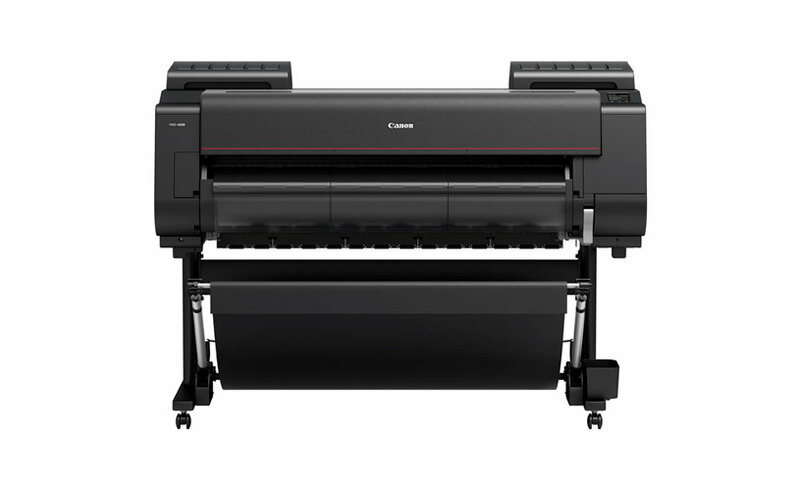 The Canon ImagePROGRAF PRO series of printers may be just what you're looking for. Each model not only delivers jaw-dropping image effects, but they also offer a fantastic user experience. The user-friendly format of these printers makes it easier than ever for you to reproduce images with stunning clarity. With industry users in mind, you'll discover innovative new features that will help speed up the printing process itself. So you'll never be far behind a deadline again! As we've seen over the last few decades, Canon's range of imagePROGRAF PRO printers are just another example of how Canon is committed to designing printers that evolve with customer expectations. Need advice on Canon ImagePROGRAF printers? Ask one of our Canon experts to discover which model is the perfect fit for your business. Canon ImagePROGRAF PRO printers are loaded with dazzling colour options to help you achieve stunning picture quality. With up to 11 colour inks, you'll be able to produce prints that bring out more detail than ever before. A newly-formulated blue and magenta are included along with chroma optimiser ink. Every dark blue area of your prints will be clearly defined. Richer details will come out in those dark shadowy areas that are usually neglected in nightscapes. Each Canon ImagePROGRAF PRO model has an intuitive user interface that's powered by new plug-in software. Customise your printer by saving printing parameters. Print settings can then be recalled in an instant so you can continue to reproduce imagery with the same consistency. ImagePROGRAF printers are compatible with Canon's device management console monitor. This cleverly-designed software enables you to manage multiple printers regardless of their location. You no longer have to be in the office to calibrate your printer settings and print an image. This software also enables you to duplicate your printer settings on other Canon ImagePROGRAF printers. 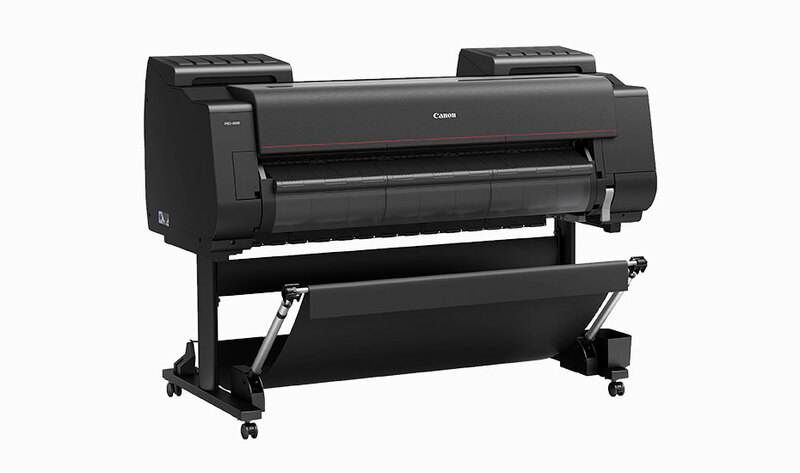 The Canon imagePROGRAF PRO series brings features to wide format printers that professionals have been yearning for. While improved image quality is a must, you'll find more practical features that make it easier to handle larger prints. High-speed printing options will enable your business to produce stunning imagery at an efficient rate. There's no need for your printing service to suffer any major loss in productivity every time you produce a detailed graphic poster. Are Canon imagePROGRAF PRO printers the right pick for me? Canon imagePROGRAF PRO printers are suitable for a number of users and work types. Print service providers and graphics departments are often required to produce work within tight deadlines. Canon imagePROGRAF PRO printers can deliver high-speed printing results that don't compromise on picture quality. Single users such as photographers and graphic designers can also benefit from the stunning features of imagePROGRAF PRO range. The PRO-2000, PRO-4000 and PRO-6000 models enable you to reproduce the full clarity and texture captured from your Canon EOS camera thanks to Canon's unique input-output technology and crystal-fidelity feature. The PRO-2000, PRO-4000 and PRO-6000 also utilise chroma optimiser ink to help reduce bronzing, improve scratch resistance, and provide greater image clarity. You'll also notice the addition of chroma optimiser ink will improve print performance on gloss paper. Why choose Total Image Supplies to buy an imagePROGRAF printer? When it's time to purchase a new wide format printer, choose a reliable supplier. Purchasing a new wide format printer is a big commitment that shouldn't be taken lightly. The model you select will influence the quality and output of your business for years to come. With years of industry experience and expert knowledge, Total Image Supplies can guide you towards the right Canon imagePROGRAF printer. Get in touch with one of our Canon printer experts and you'll see why we're regarded as Australia's number one Canon ImagePROGRAF distributor. So if you're seriously considering a Canon ImagePROGRAF PRO model for your office, get in touch with the experts at Total Image Supplies. Still have questions about the Canon ImagePROGRAF PRO series? Ask one of our Canon experts now on [phone]. Discover more about the exciting new range of imagePROGRAF TX series printers from Canon.